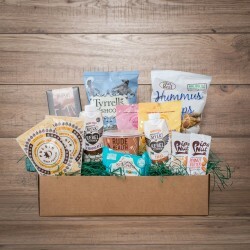 Food hampers individually themed for foodies and fitness fans alike. Seventeen and Green are husband and wife team Mark & Caroline, who are born, bred and based in Cumbria. Caroline is a self-confessed health food junkie and Mark is more of a marathon man, who appreciates the importance of fuelling himself up before running. 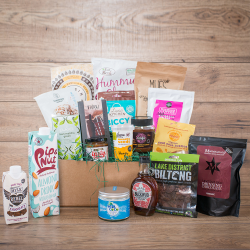 They decided to create a range of gift boxes which give people a chance to try all the amazing products you hear foodies raving about. 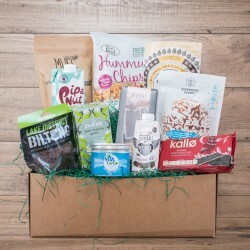 Each of their hampers has a different theme, and is filled with a carefully handpicked selection of full sized delicious products rather than sample sized so that customers can try everything out properly. Their range makes it easy to find the perfect gift for runners, super-foodies, lean machines and fitness fanatics.